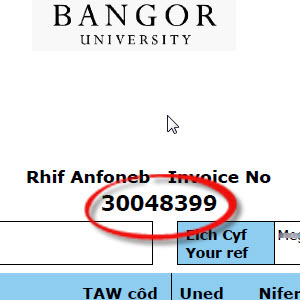 An additional payment method for Official Bangor University Sales Invoices is now available and will be printed on all new invoices. Customers can now pay Agresso generated Sales Invoices through the online shop with a debit or credit card using the web link of bangor.ac.uk/invoice. The online shop will prompt the customer to enter the amount of the payment and the sales invoice number followed by the secure card payment transaction.